Stillwater National Wildlife Refuge is located in the Lahontan Valley, near the community of Fallon, sixty miles east of Reno. The Stillwater wetlands are well-known to birders, as this area has been designated a site of international importance by the Western Hemispheric Shorebird Reserve Network because of the hundreds of thousands of shorebirds, such as Long-billed dowitcher, Black-necked stilt, and American avocet passing through during migration. Also listed as a 'Globally Important Bird Area' by the American Bird Conservancy, more than 280 species have been sighted in the area. These tremendously rich and diverse wetlands attract more than a quarter million waterfowl, as well as over 20,000 other water birds, including American white pelicans, Double-crested cormorants, White-faced ibis, and several species of egrets, herons, gulls, and terns. No boats on refuge units for a 5-day period immediately preceding the opening day of waterfowl hunt season. Airboats not allowed until 1 hour after the legal shooting time begins on the opening day of waterfowl hunt season. Upland bird and game hunting is available during appropriate seasons on portions north of Division Road on Stillwater Complex as well as in the non-posted portions of 'Stillwater Wildlife Management Area'. You must not use rifles or pistols at any time on refuge lands...non-toxic shot, archery, or muzzle-loaders only. State regulations also apply. Contact the refuge for more detail on hunt locations by calling (775)423-5128. Stillwater NWR Complex no longer allows fishing, due to a health advisory issued by The State of Nevada Department of Human Resources Health Division which specifies that in regards to the Carson River from Dayton to the Lahontan Dam and all waters in the Lahontan Valley, "No gamefish or carp should be consumed..."
From Fallon, Nevada, follow U.S. Highway 50 east approximately 5 miles. 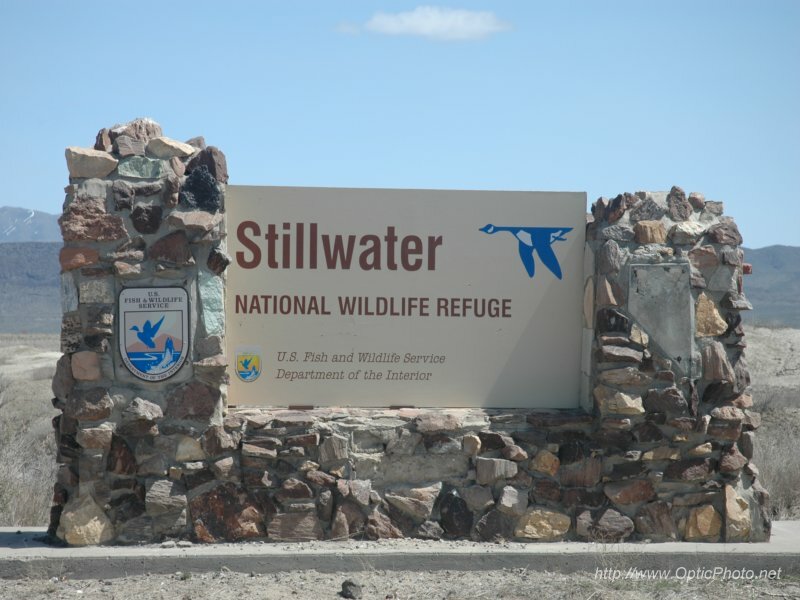 Turn left onto Stillwater Road and follow the "Watchable Wildlife" signs to the refuge entrance (approximately 15 miles). Visitors are encouraged to stop at the refuge Field Office at 1000 Auction Road to obtain a map and additional information prior to visiting the refuge.